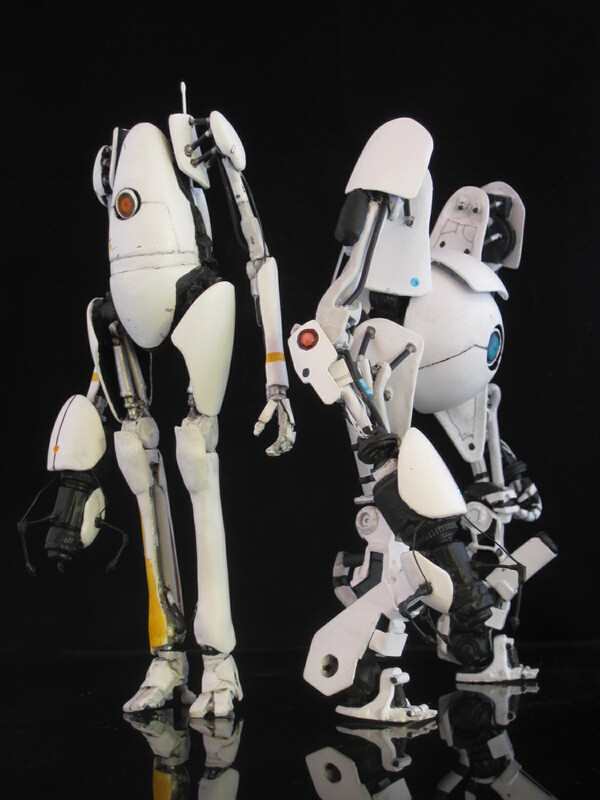 Custom toy creator Christian Hooton, whose work we've featured previously, has sent us some pictures of these Portal 2 figures he's made. Warning: they are amazing. Remember, these are entirely custom figures. 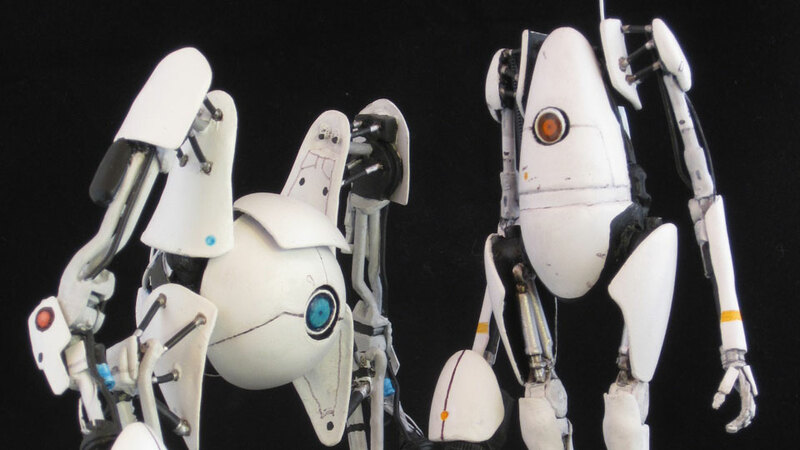 Hooton has built them from scratch, from the bodies to the cables, and they took two solid weeks to finish. 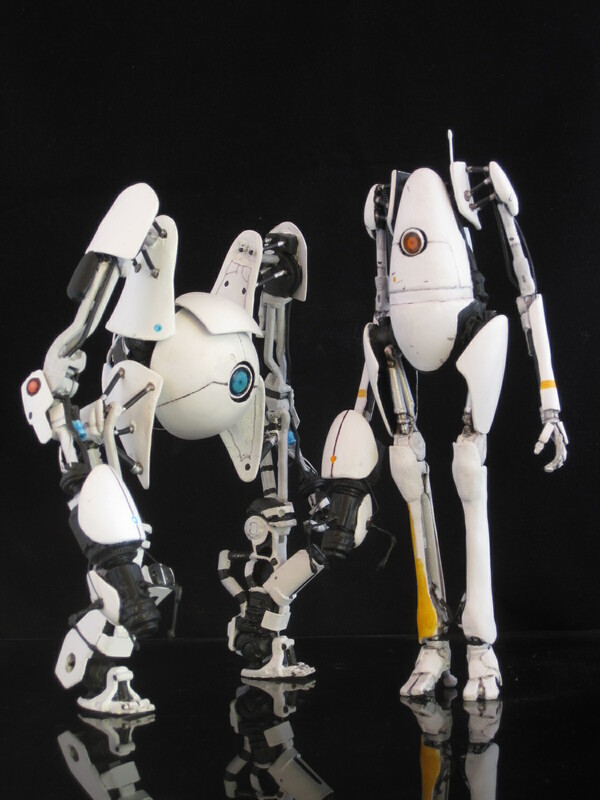 If Valve ever gets around to releasing official Portal 2 figures, they're going to have a hell of a time competing with these. 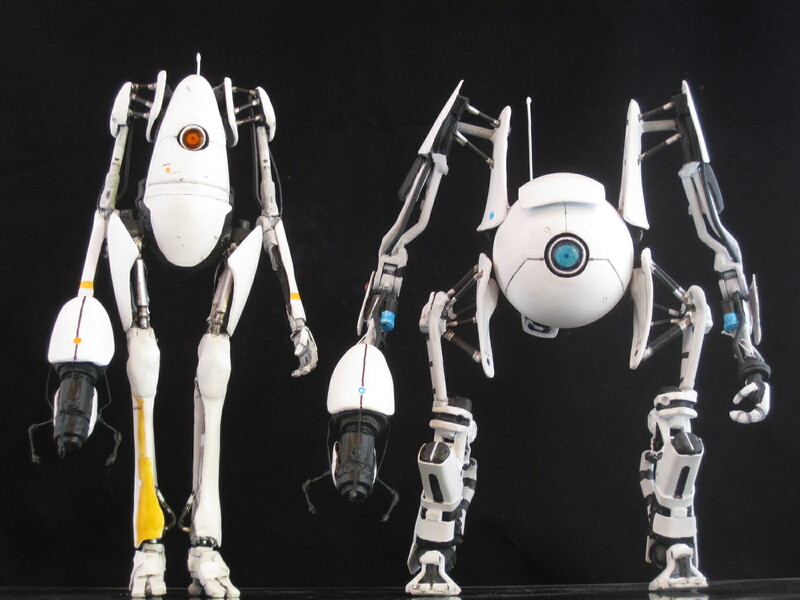 They appear to be well designed, but how are they at performing in Aperture Science Handheld Portal Device Cooperative Testing Initiatives? 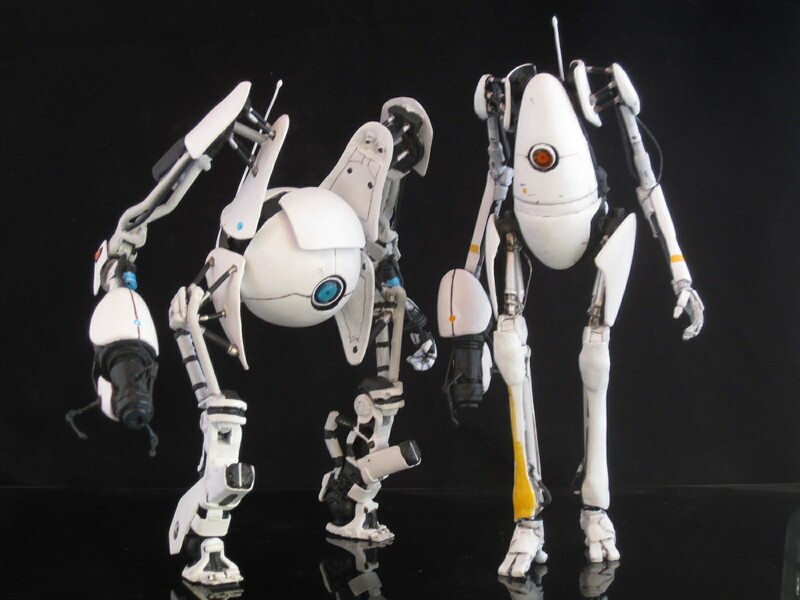 That's awesome...I also want Chell. I'm amazed P-Body stays upright. can we get a picture of them hugging ? I want both of them.